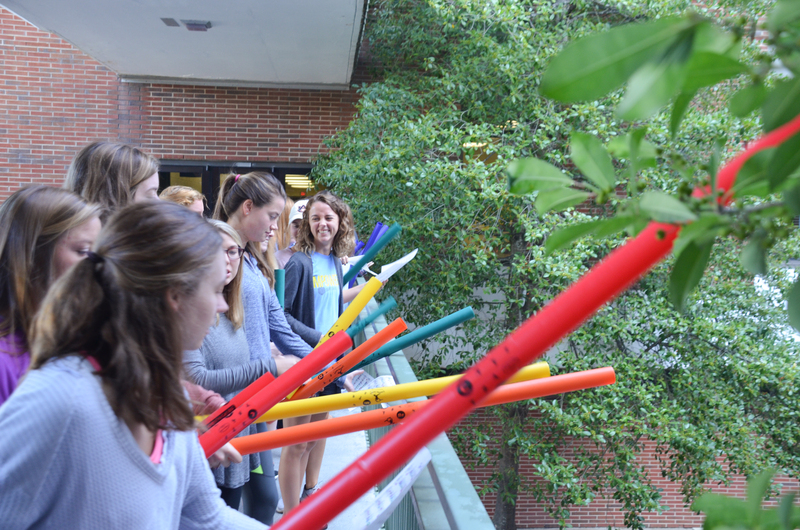 If you had strolled through the Haley Center courtyard on a recent warm Thursday, you might have heard the sounding strains of “War Eagle.” Nothing unusual there – until you looked up and saw that Auburn’s fight song was being performed by two dozen undergrads on Boomwhackers. 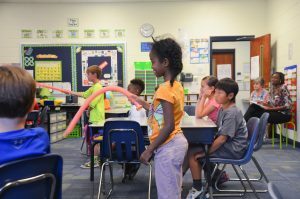 In a unique collaboration between College of Education professors L. Octavia Tripp and Nancy Barry, elementary education students have been engaged in an innovative inter-disciplinary project that integrates science and music through creative, hands-on lessons. Tripp, who specializes in science education, joined Barry, whose emphasis is in music education, to provide professional development in science and music integration to a cohort of pre-service teachers. After a series of demonstration lessons, the pilot project culminated with the Auburn students developing their own lessons combining science and music, and teaching those lessons to children in a partner public school lab. Along with Pan Pipes, glasses tuned with different levels of water to produce different pitches, and whirling musical tubes, one of the instruments the students used were Boomwhackers, which are lightweight, hollow, color-coded plastic tubes that are tuned to musical pitches based on their length. In addition to the focus on music and science, the students also discussed teaching methods, engagement ideas, classroom management, and pedagogy during their university class meetings. All of the students had an opportunity to translate these fun and engaging ideas to local classrooms in partner schools. One such student was Chelsea Stone, who worked under 2009 Teacher of the Year LaNedra Dear at Pick Elementary on North College Street. Stone is an Elementary Ed major with a minor in art. In her lab session at Pick, Stone focused on wave qualities. 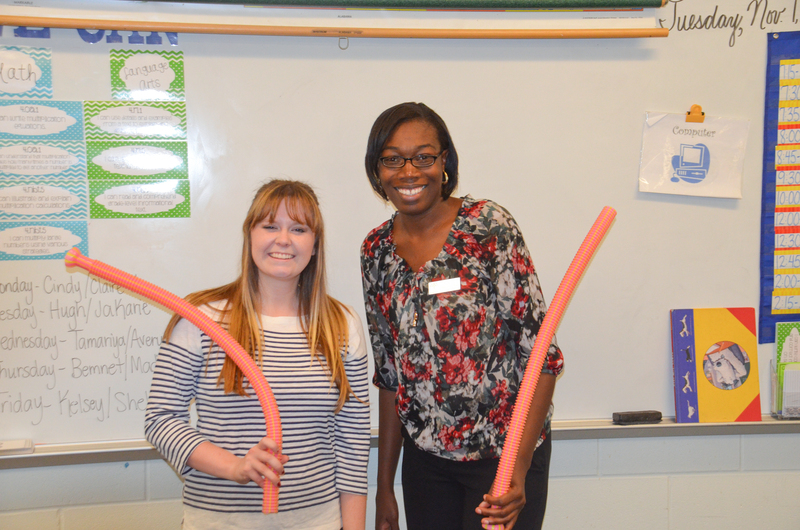 While the students took turns experimenting with musical tubes making different sounds at different speeds, Stone discussed frequency, or the speed of a wave, as well as amplitude, pitch, and wavelength.